As a family that loves reading, having a dedicated reading area was always on the wish list when we moved. 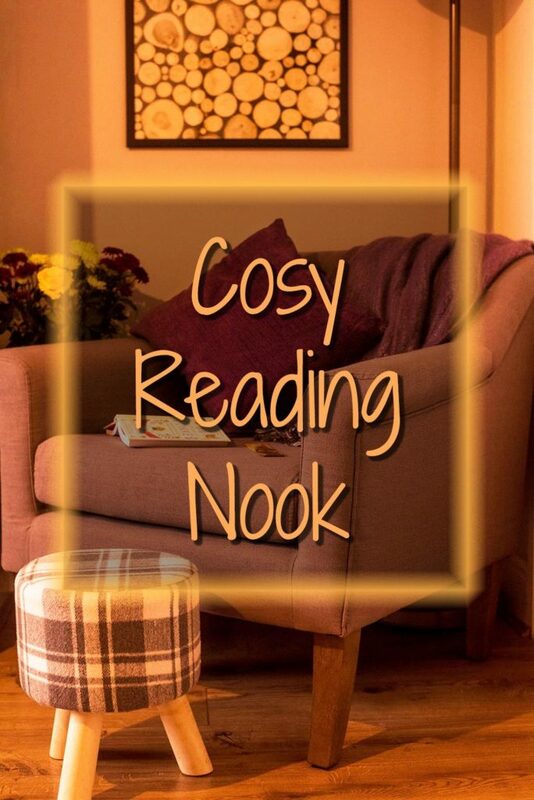 We created this little cosy reading nook in a few simple steps. With a Julian Joseph Occasional Chair as the main feature, and here is how you can create your own too. The day is finally here. We’ve finished unpacking, we’ve finished decorating, and we’re finally no longer surrounded by boxes! At last, we are settled in to our new home. We have a few little bits here and there to finish, but mostly it’s all done. 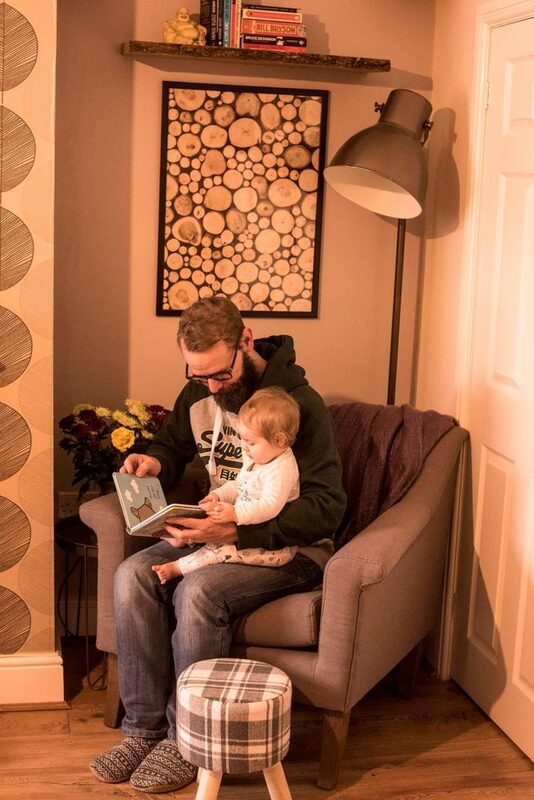 There was a lot to do in the new house, and it took weeks before any room was complete, but we made sure that little areas of each room were finished and useable, and one of the first things we finished was our cosy reading nook. 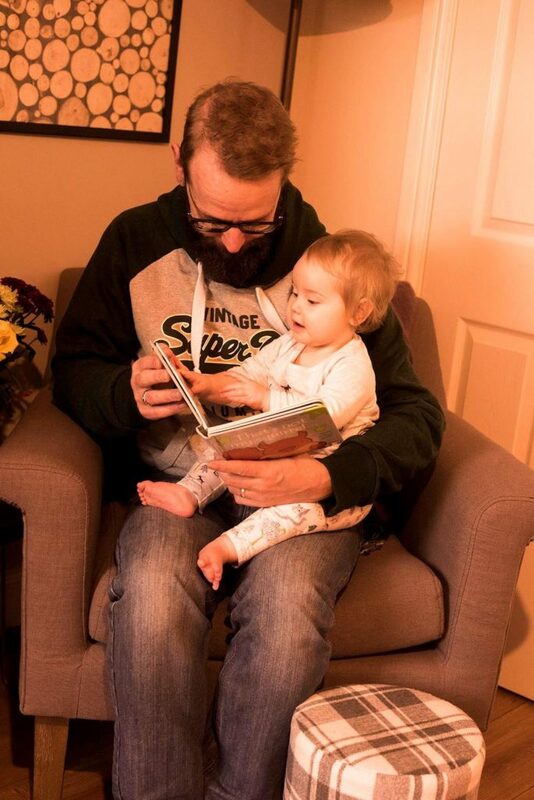 As much as Dave and I love reading, we just haven’t had much time to do it. 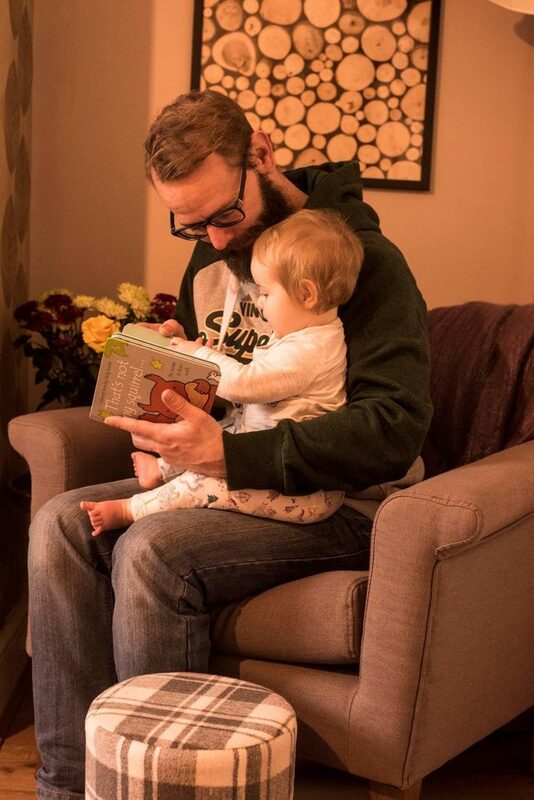 With a baby and then the house move, reading has taken a back seat recently. But now Avery is nearly one (tomorrow – arghhhh!) and plays a bit more independently, we have some more time to read. We thought that having a dedicated reading nook would encourage us to read more too. We don’t have the biggest house, but I think we have really made use of every space. 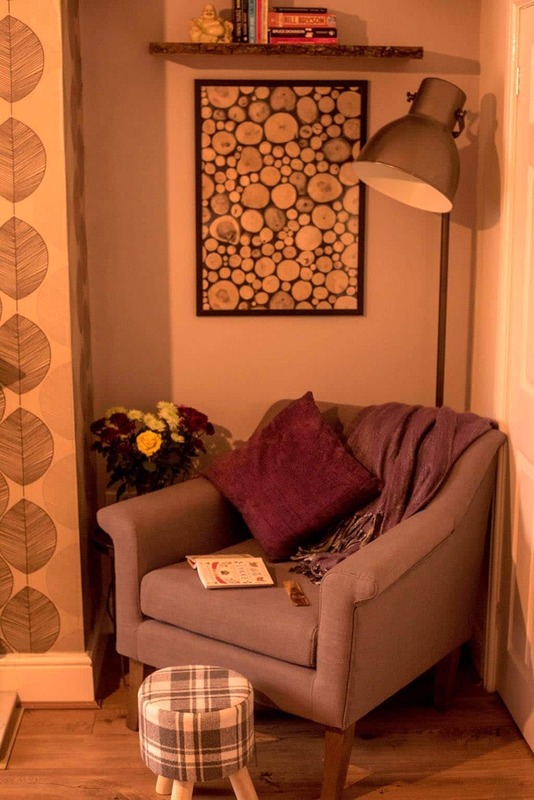 This alcove in our living room was the perfect space for a cosy reading nook. It was just big enough for an occasional chair and side table and with our high ceilings there was lots of room for some art and some shelves above. We wanted some floating shelves to hold a few books that were overflowing from the book shelves and we found this exposed wood shelf in B&Q and it really fitted in with the vibe we were going for. 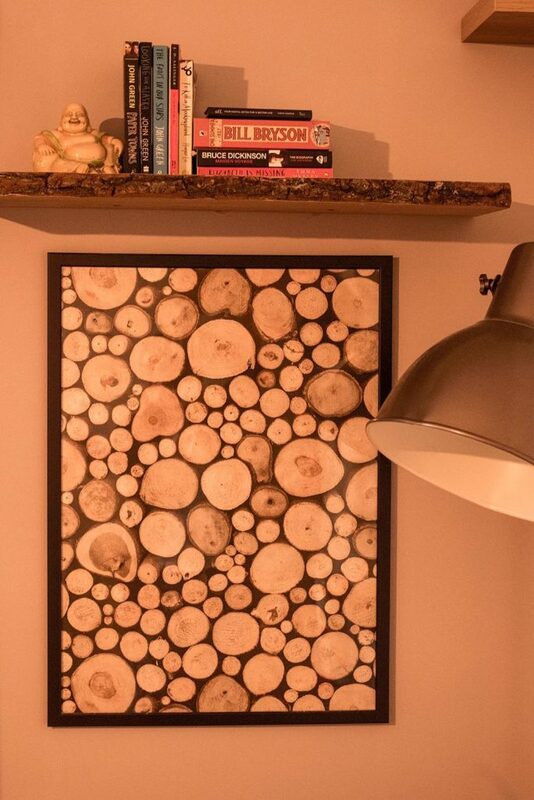 The wood log photo is one of my favourite parts of the reading nook, and it couldn’t be easier! 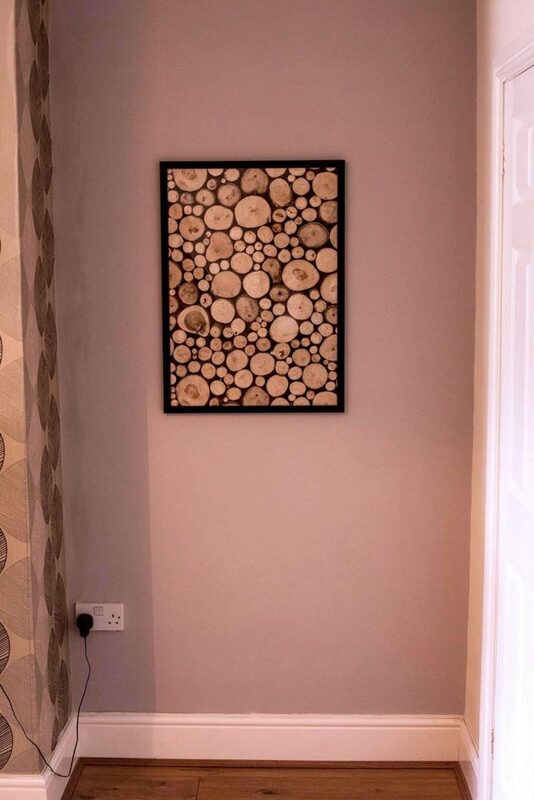 We found it as some wallpaper, ripped off a sample piece and put it in a picture frame. Simple! We have teamed up with Wayfair and Julian Joseph to show off their occasional chairs and show how they can transform a little neglected corner of your house in to a cosy reading nook. We chose the Manhattan Arm Chair and it’s big enough to sink into for an hour of page turning, but small enough to not dominate a room. 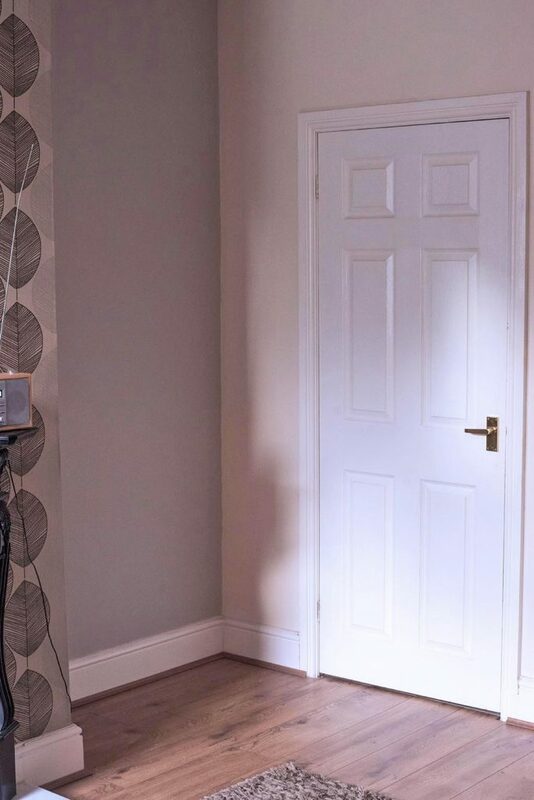 It’s super comfortable and the iron grey colour makes it a suitable match no matter how your room is decorated. The contemporary design of the Manhattan Chair will stand out in a vibrant, busy room or calmly match a tranquil space, such as our reading nook. Julian Joseph have crafted a chair that seamlessly blends a fantastic design with amazing comfort. Upholstered in a beautiful iron grey cotton and linen fabric with button detailing and solid oak legs. 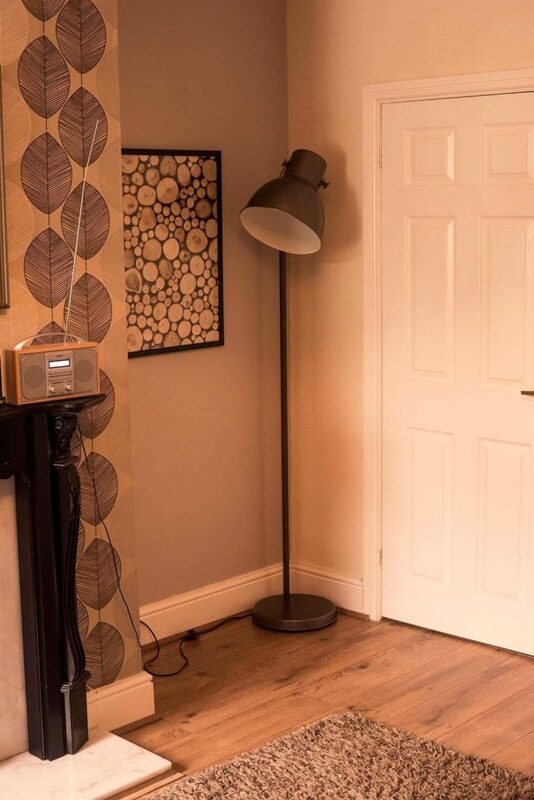 Nooks can be a little dark, especially in the winter months, so adding a lamp for extra light was important. What we wanted was a big statement lamp. Luckily the people we bought the house from left one and it fitted perfectly in to the space. However, Wayfair have lots of lamps you will love! We wanted to add a bit of colour to it too, so we threw on a purple blanket and cushion. Not only does it add some colour, but it makes it even more cosy to snuggle up in the chair on a cold winter afternoon. Don’t take our word for it though – the cats love curling up on it for the day. They often fight over who gets to sleep in it! Although it feels like more of a grown-up area in a sea of toys scattered around the house, Avery actually spends a lot of time there. 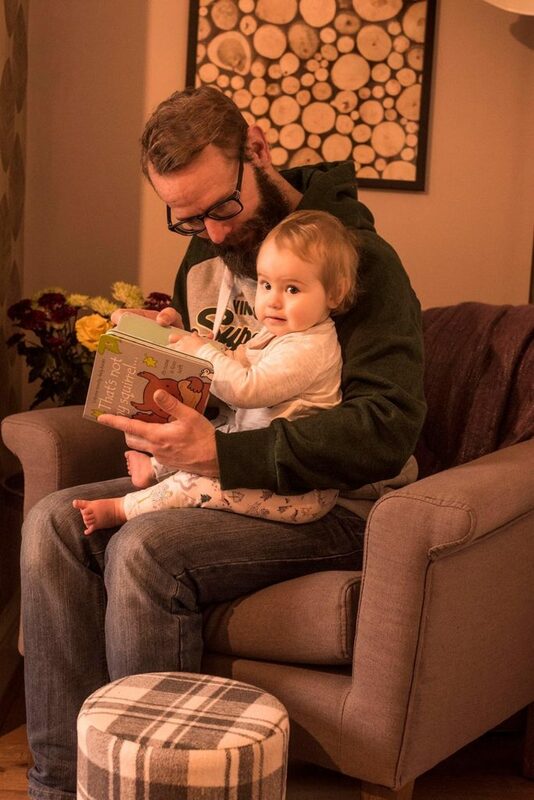 We read a couple of books first thing in the morning before breakfast and then after milk just before bed. She is even using it to help her to stand up. 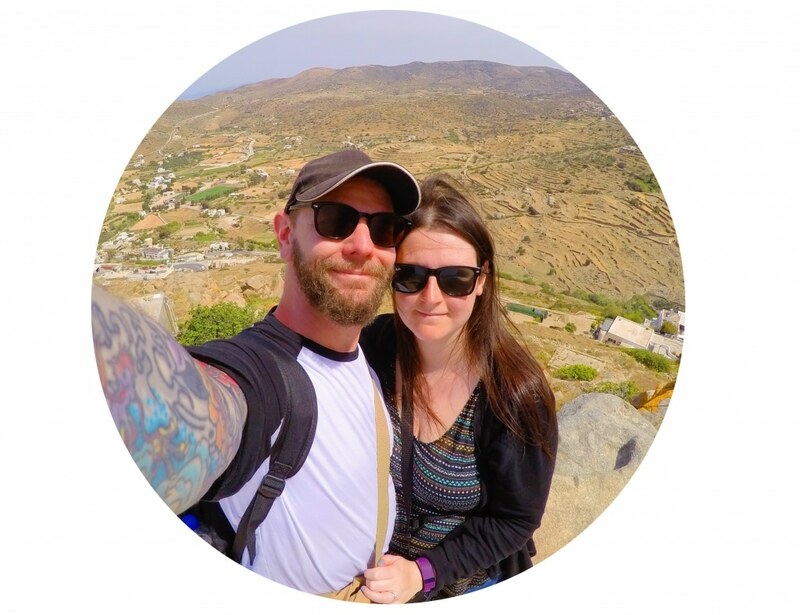 Having a messy nearly-toddler, we needed something durable. We have had to wipe a few things off the chair so far and it wipes clean really easily. Even the cats haven’t pulled any of the material up. This really is a family chair and one of our favourite parts of the house. Any free time I have now, you will find me curled up in this Julian Joseph Manhattan Arm Chair with a cup of coffee, a good book and most likely a cat trying to climb on my head or trying to kick me out of the chair! 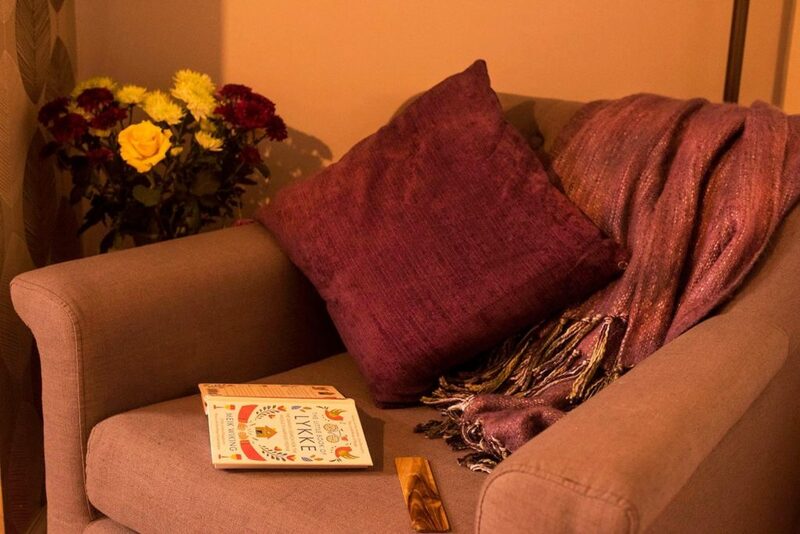 If you have an empty space in your house, why not create a cosy reading nook the whole family will love? Oh my goodness! You have created my dream atmosphere! I love reading, my life goal is to find a cabin somewhere fill it with book shelves, and while away the hours on my own, with my books and loads of cups of tea! This is just gorgeous! 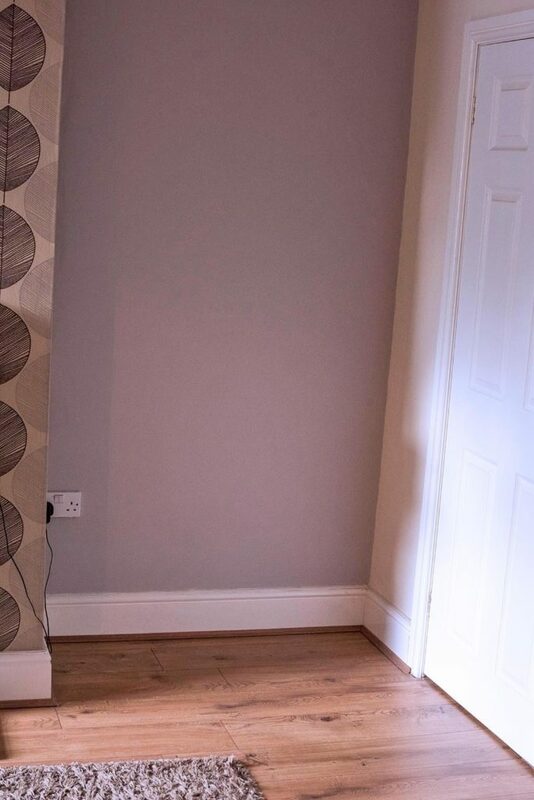 That’s a great use of the space! Looks super cosy! Moving is exhausting, I’m so glad you’re settled now. What a great way to make use of the space. I’d love to curl up with a book and a blanket somewhere like this. Wow that’s great you got your reading nook set up. It looks nice and comfy and I bet the little one is enjoying being read to. I’d love a reading nook. My bedroom is huge and empty so I definitely have space. 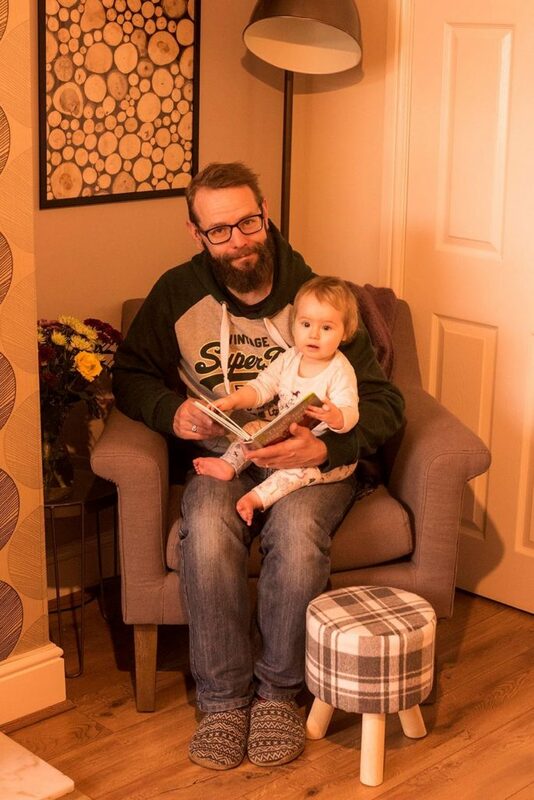 That looks really cosy and those photos of Dave reading to your daughter are so cute. I want to do this on our landing, as it’s a bit of an empty space. I love the look of the chair, but I wanted something a bit brighter maybe. A cosy reading nook is essential I think!! I love the way you furnished it. 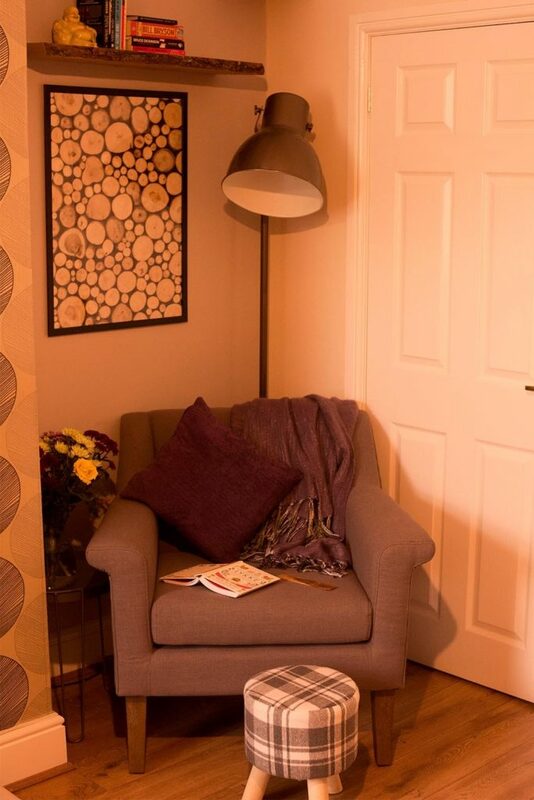 I could do with a cosy reading nook – that chair looks like the perfect seating for one! I’d love to dedicate a little area in my home to reading. I currently just read in bed before going to sleep. Cosy but not on the same scale! Oh I love the idea of having a cosy reading nook, it looks wonderful. I LOVE that chair.